It used to be that in order to set up an online store, you needed to be an experienced web developer (or hire one). These days, however, you have plenty of platforms at your disposal that enables you to set up complex e-commerce operations without touching a line of code. Two of the top options are PrestaShop and Shopify, and they both have a lot to offer you. Armed with that information, picking the best e-commerce platform should be simple. Let’s jump right into PrestaShop vs Shopify! The first thing we need to talk about before we compare PrestaShop vs Shopify is the difference between self-hosted and hosted platforms. PrestaShop is a self-hosted platform, which means that its software could be installed on any server you want. With this solution, you’re not tied to a specific web hosting provider, so you can shop around until you find one that offers all the features you need. Shopify, on the other hand, is a hosted platform. To use it, you need to purchase a subscription directly from Shopify, and you can’t set up your store on any server you want. Over the next few sections, we’ll explore what else sets PrestaShop vs Shopify apart. 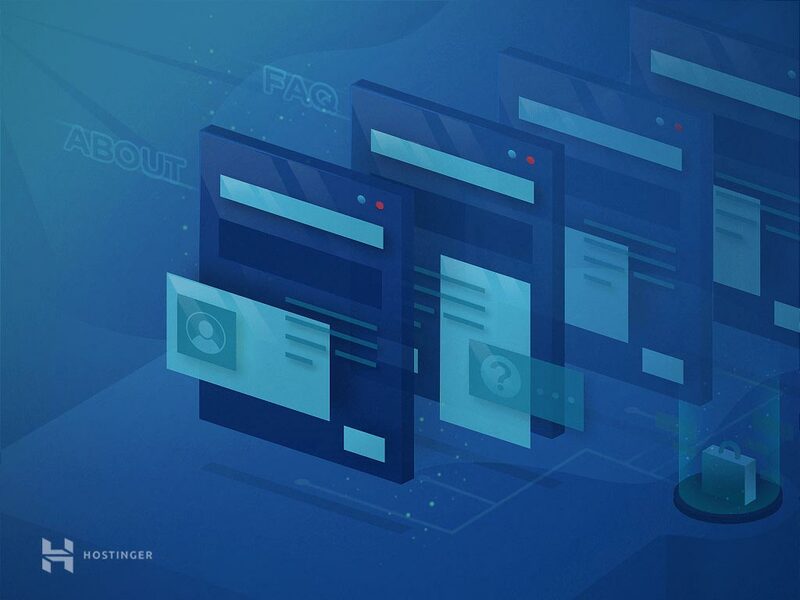 We’ll also talk more about the differences between hosted and self-hosted platforms, since that’s going to be one of the key factors that determine which one best suits your needs. For a lot of people, setting up their first online store can be pretty daunting. That’s why we tend to favor platforms that prioritize ease of use, and don’t require you to spend weeks trying to figure out how every feature works. Likewise, setting up PrestaShop can take longer, since you may need to do the job manually. Here at Hostinger we can perform the setup for you, however, which simplifies the process dramatically. Ultimately, Shopify is designed more for users who don’t have any background in setting up and running an online store. PrestaShop, on the other hand, is a more rounded platform that assumes you can handle a bit more complexity. However, you can’t deny that Shopify is the easier platform to use, which is why it wins this first round of PrestaShop vs Shopify. Whichever platform you choose needs to provide you with a wealth of options to manage your store any way you want. For example, you’ll need to be able to access multiple payment methods and shipping options, at the very least. To give you an example, Shopify’s basic plan enables you to list unlimited products and maintain up to two staff accounts. However, if you want to process payments through the platform, you’ll also be charged a 2.9% + $0.30 fee per sale. When you move up to the platform’s most expensive plan, the payment processing fees go down to 2.4% + $0.30 per sale. You’ll also get access to better shipping discounts, and up to 15 staff accounts. To put it another way, while operating a Shopify store is simple, it can also become expensive once your operation starts to grow. Some of the advanced features PrestaShop enables you to use include a coupon system, multiple discount options, and product suggestions. In summary, Shopify offers a simplified store management experience that’s perfect for small operations. However, if you’re serious about growing your e-commerce presence, you’ll probably enjoy all the settings PrestaShop enables you to customize. With that in mind, we’re awarding this round of PrestaShop vs Shopify to the former platform. We’ve already talked about some of the features Shopify and PrestaShop offer you out of the box. However, it’s also important to keep in mind that most platforms these days provide you with plenty of additional customization options. In other words, you can often add new features to your online stores using extensions or add-ons. This is something both Shopify and PrestaShop enable you to do. 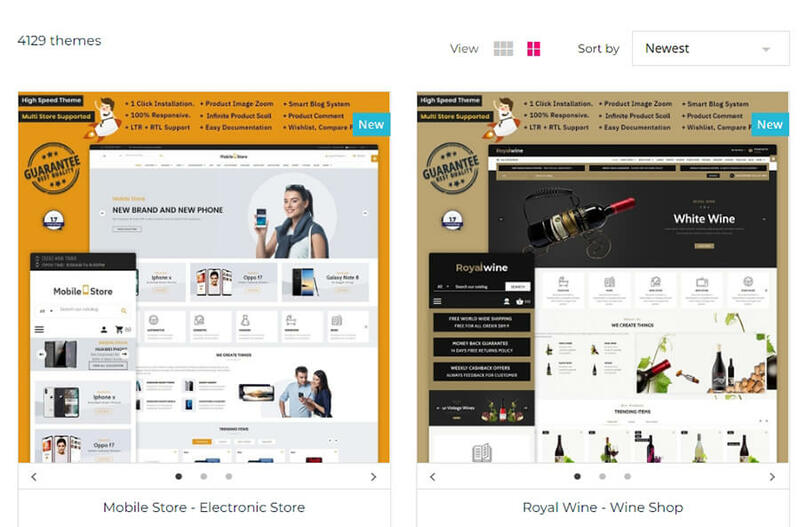 Both platforms also support the use of themes, which let you to alter your store’s style and layout very quickly. Finally, it’s worth noting that Shopify includes one of the most intuitive drag-and-drop store builders we’ve had the pleasure of using. This means that customizing your shop won’t feel like a chore, and you’ll be able to get things looking just the way you want without too much of a fuss. In practice, adding new features to PrestaShop is very simple, and you have a lot of choice. However, themes are a different story. While PrestaShop gives you access to more options, most of them aren’t as polished as what Shopify has to offer. Likewise, customizing your store’s style isn’t as straightforward as it is when using PrestaShop. 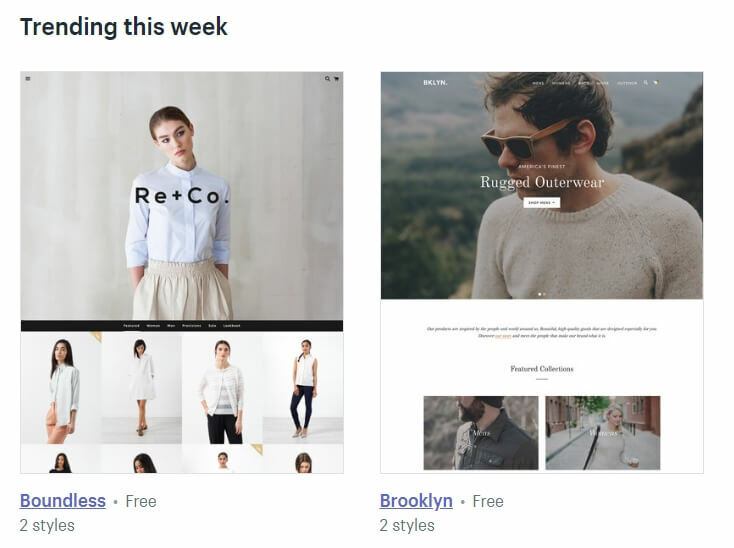 You can still achieve any look you want, but it won’t be as easy as with Shopify’s drag-and-drop builder. To summarize, PrestaShop enables you to add new features more easily, whereas Shopify shines when it comes to editing your store’s style. With that in mind, we’re ruling this round of PrestaShop vs Shopify a tie. Your hosting plan. The type of hosting plan you sign up for will largely determine how much traffic your store can handle. What’s more, your hosting provider has a significant impact on how well your site performs. The platform you use. Some e-commerce platforms can handle more visitors, due to the way they’re built. Your store’s setup and design. In some cases, you may inadvertently slow down your store by using too many high-resolution images or installing too many extensions, for example. Each visitor’s internet connection. Naturally, slow internet connections will result in long loading times. However, these days a lot of your visitors will have access to speedy internet, so this isn’t as much of a factor as it used to be. For this section, our main concern lies with points number one and two. During our tests, we found that both PrestaShop and Shopify offer solid performance out of the box. This means the determining factor is that Shopify is a hosted platform, whereas PrestaShop isn’t. With Shopify, you largely don’t need to worry about performance, because you get the same baseline regardless of which plan you subscribe to. Instead, the difference between plans lies mostly in the features they provide. PrestaShop’s performance, on the other hand, will depend largely on what hosting platform you use to set up your store. Some providers have a better track record when it comes to performance, which is something you’ll want to look into before signing up for a plan. For best results, you’ll also want to find a plan that is optimized for PrestaShop. It’s also worth considering that once your store starts to grow in traffic, shared hosting may no longer be able to keep up. When you reach the point where you’re getting a lot of simultaneous visits, you’ll probably need to upgrade to something more robust, such as a Virtual Private Server (VPS), in order to maintain the same level of performance. Overall, both platforms can be speedy, but PrestaShop offers a lot more control over how well your store runs. With that in mind, this round of PrestaShop vs Shopify goes to the former platform. When you’re running an online shop, security is of the highest importance. After all, you’ll be regularly dealing with personal and financial information from your customers. If there’s a breach and any of that data is compromised, you’ll probably lose a lot of trust and potential sales. Which e-commerce platform you’re using. What security measures your web host chooses to implement. As with performance, Shopify offers a more uniform experience when it comes to security. Whichever plan you use, your store should be reasonably secure as long as you also follow good practices, such as using a strong password. With PrestaShop, the platform itself is also very secure out of the box. If you choose a quality hosting provider, you should be more than safe. Plus, you also get access to a much broader collection of add-ons than you do with Shopify, plenty of which are security-related. That means you have more tools for protecting your store, which may help you rest easier at night. Overall, both PrestaShop and Shopify are pretty strong options when it comes to security. However, since PrestaShop provides you with more control over the ways you can protect your store, it gets our vote for this round of PrestaShop vs Shopify. Access to an intuitive shop builder. A broad collection of modern themes and powerful add-ons. Top-notch performance and security out of the box. By now, you have a good idea of what Shopify can offer you. If you’re planning to set up a small online store, using a platform designed for convenience can be a smart decision. This way, you won’t have to worry about optimizing your store’s performance or any complex settings, and you can just concern yourself with driving sales. You get access to a broad range of store management options. There are thousands of modules you can use, as well as hundreds of themes. You can tweak your store’s security settings as much as you want. Since it’s an open-source platform, you can configure it any way you like. Customizability is PrestaShop’s primary selling point. If you’re looking for a platform that gives you more options than Shopify does, this is definitely the choice for you. Plus, you can set up a PrestaShop store for very cheap if you use shared hosting in the beginning, and only upgrade when it becomes necessary to keep up with your store’s growth. 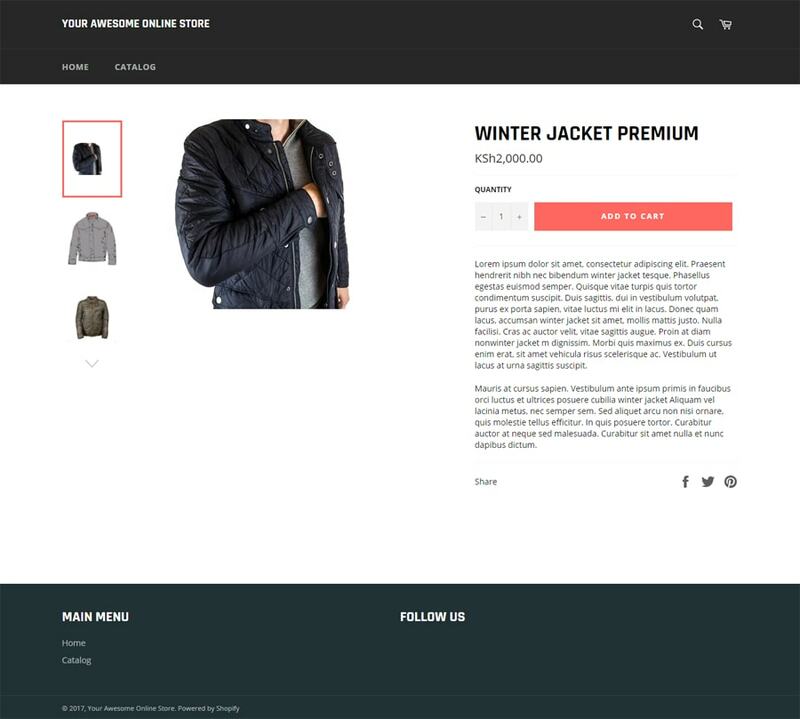 The e-commerce platform you choose is going to set the tone for your online store. The right tool can provide you with access to features you wouldn’t otherwise get, or help you scale your store more easily. In our experience, Shopify can be a useful option for small stores that don’t need a lot of advanced functionality. However, PrestaShop is a better choice for most users, especially if you want as many options as you can get your hands on. 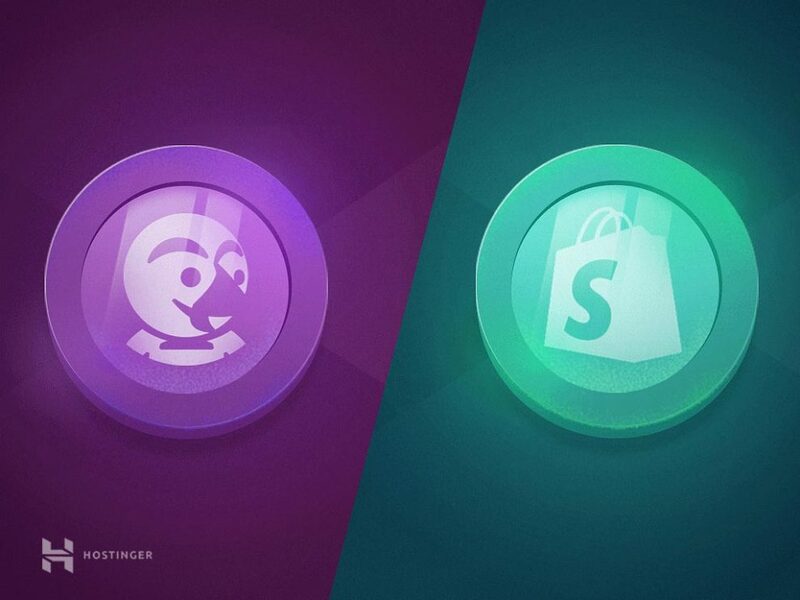 Which do you think is the best platform when it comes to PrestaShop vs Shopify? Tell us why in the comments section below!